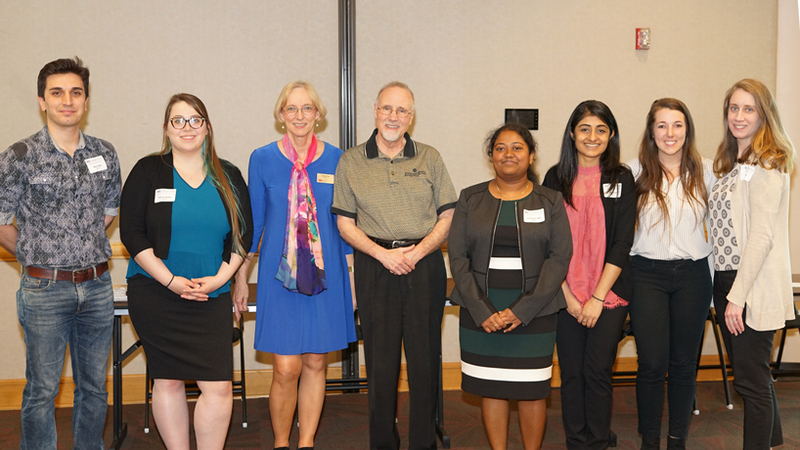 Assistant Teaching Professor Hiroko Yoshii led (from left) Diva Norton, Eric Eggers, Amy Seidel and other University of Missouri–St. 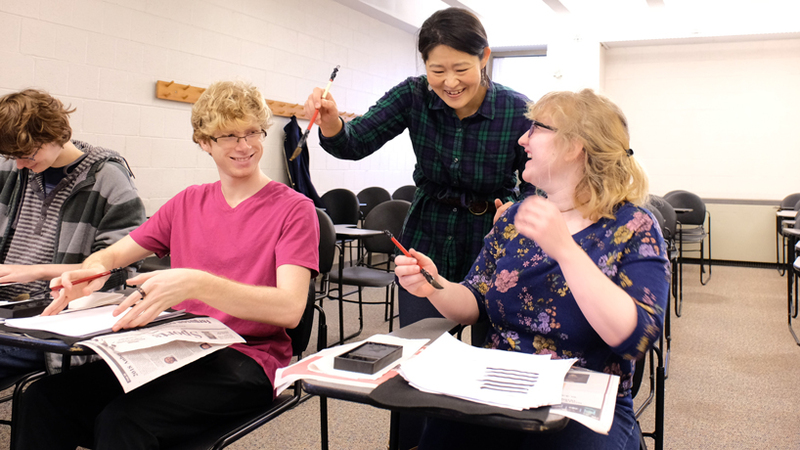 Louis students in a Japanese calligraphy lesson Friday as part of a Japan-America Student Association event. Yoshii will also teach a semester-long course on “East Asian Calligraphy” this spring. 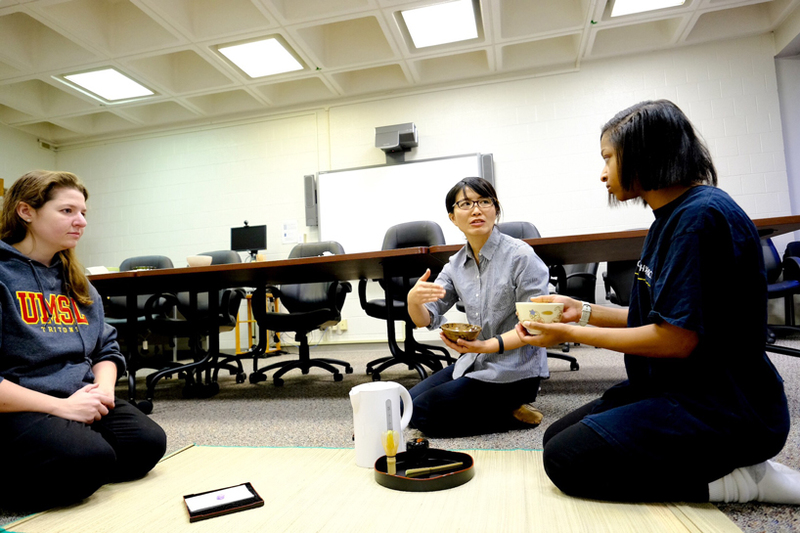 The JASA program, which was organized by Eggers and other student leaders, also included a Japanese tea ceremony. 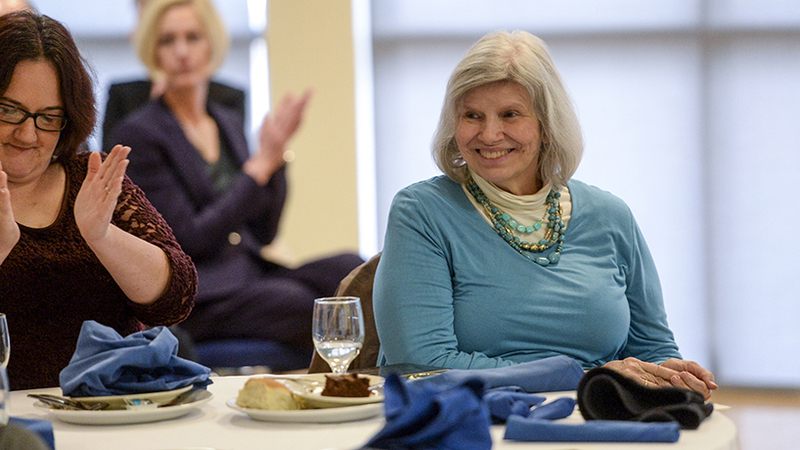 Keiko Ueda (center), also an assistant teaching professor in the Department of Language and Cultural Studies, led the tea ceremony. She spent some time working with Katie Johnson (at left) and Erikah Taylor-Allen. These photographs were taken by UMSL photographer August Jennewein and are the latest to be featured in Eye on UMSL.